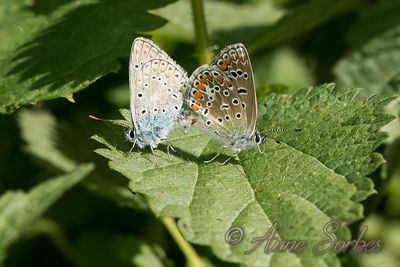 Common Blue paire mating on a nettle leaf in my garden. 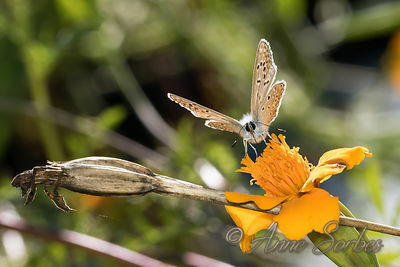 Common Blue male gathering nectar of a flower of marigold in my garden. 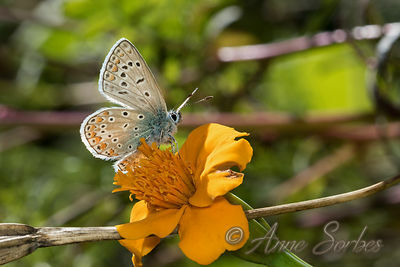 Common Blue male taking a sunbath on a flower of marigold in my garden. 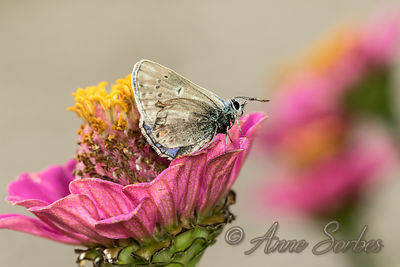 Common Blue male resting on a zinnia flower in my garden. 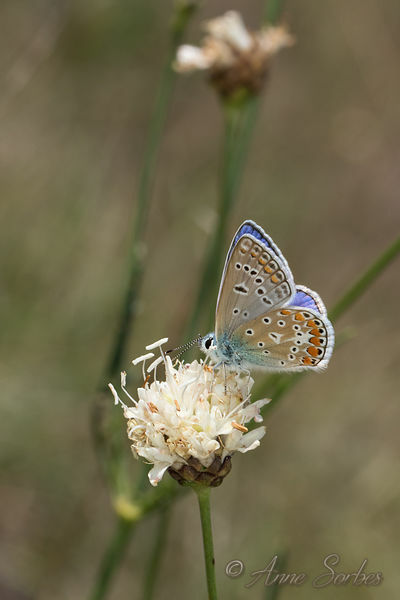 Common Blue male gathering nectar of a Giant Scabious flower in black marls. 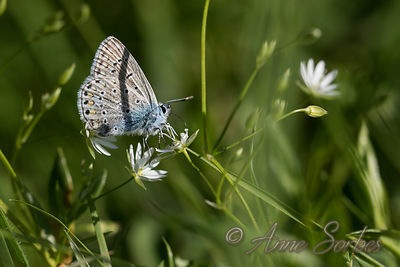 Common Blue female resting in a calcareous meadow. 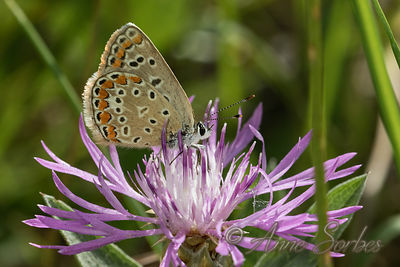 Common Blue female gathering nectar of a knapweed flower in a meadow. 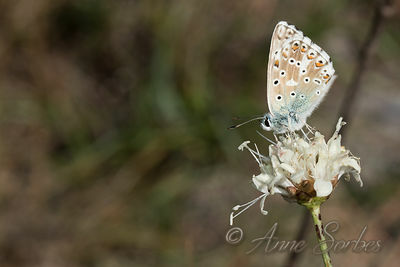 Chalkhill Blue (Lysandra hispana ou coridon) male resting on a great scabious. 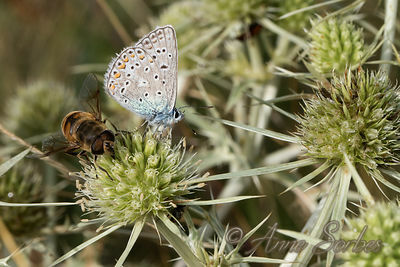 Adonis Blue male gathering nectar of a carline thistle in bloom in a meadow. 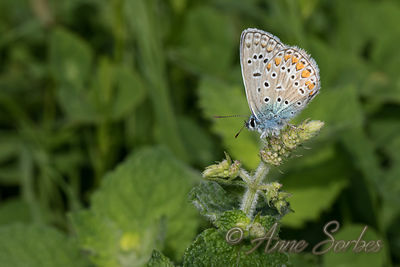 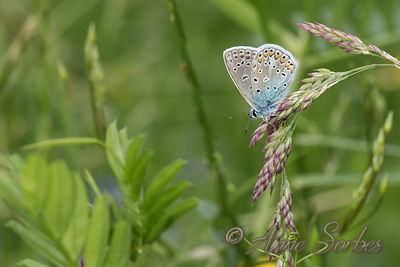 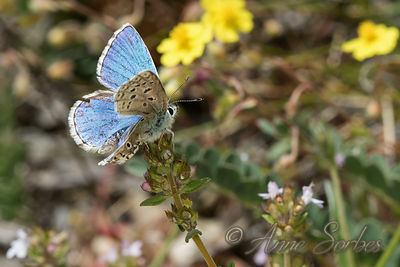 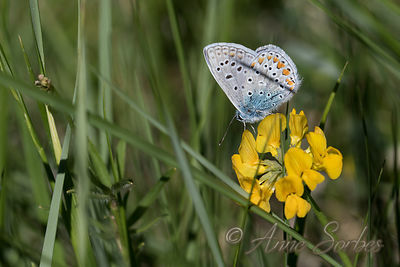 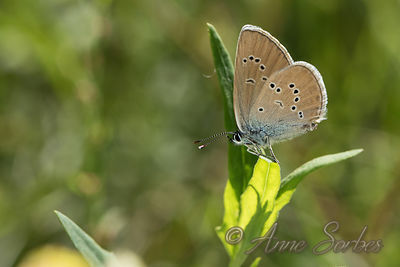 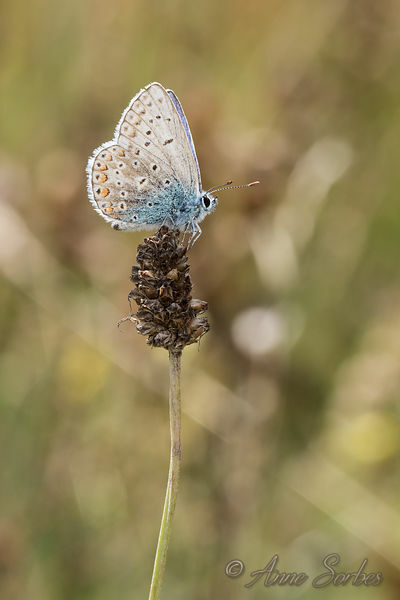 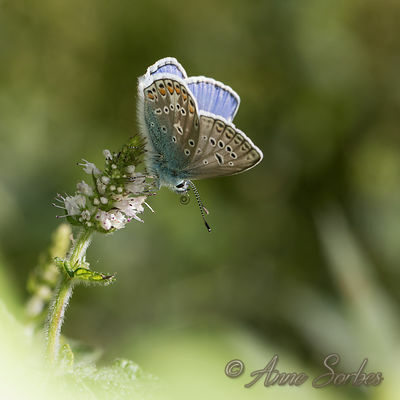 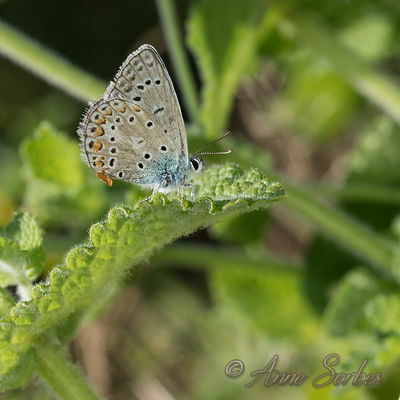 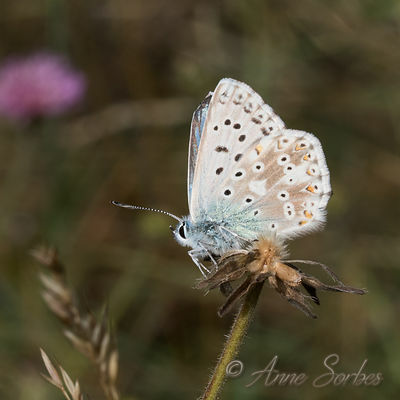 Adonis Blue male resting on alfafa in a meadow. 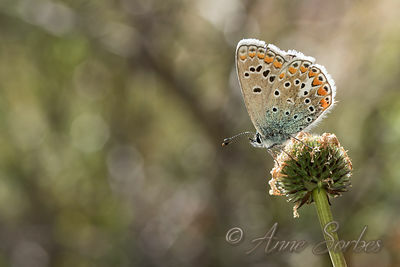 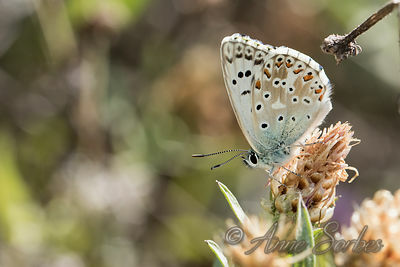 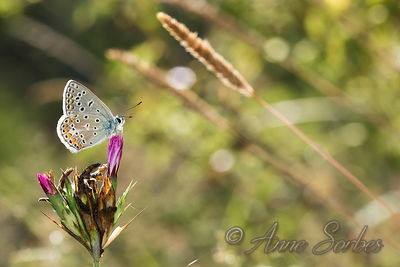 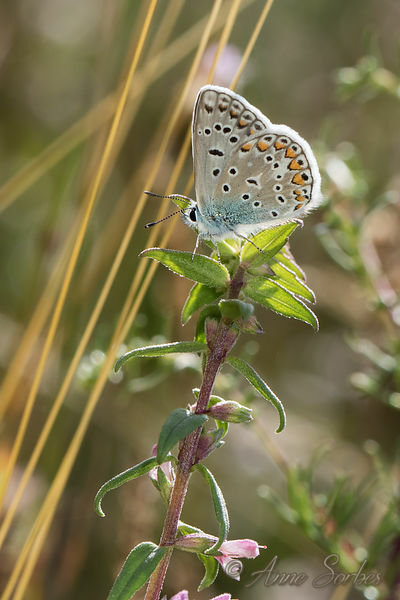 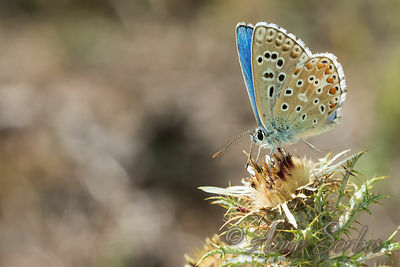 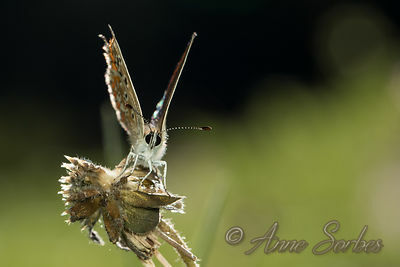 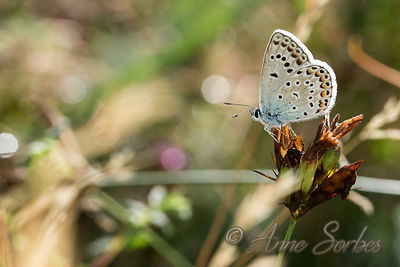 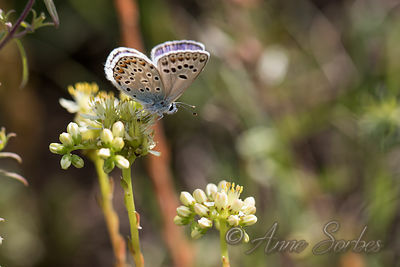 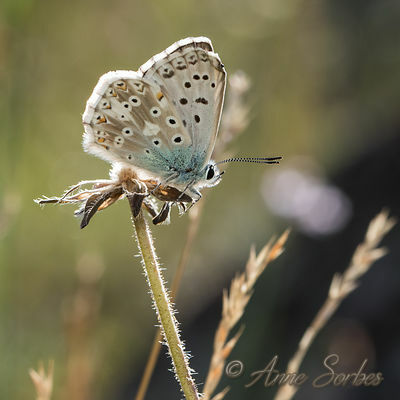 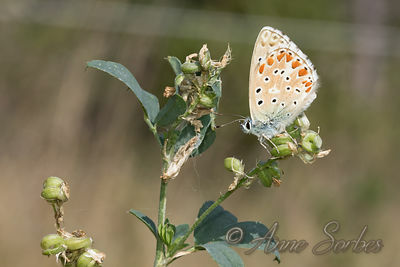 Female of Polyommatus bellargus, coridon ou hispana exposing its wings to the sun in a meadow of Diois. 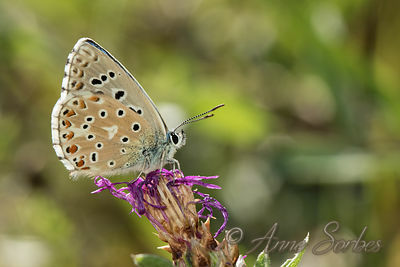 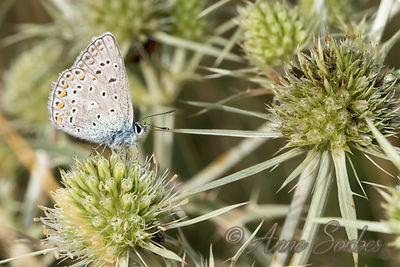 Adonis Blue male resting on a brown knapweed. 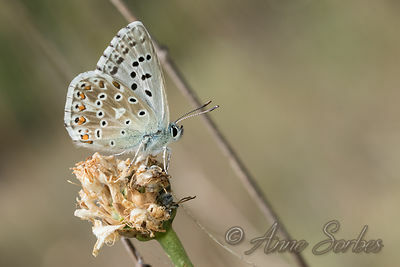 Chalkhill Blue (Lysandra hispana ou coridon) male resting on a brown knapweed. 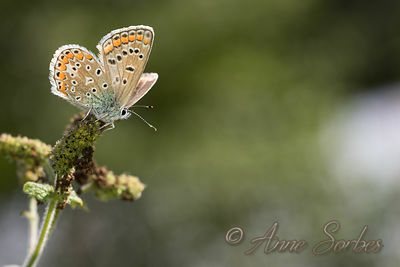 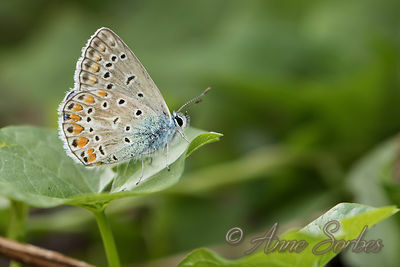 Common Blue male resting on a leaf in a wet meadow. 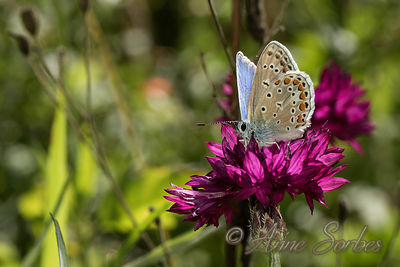 Common Blue male gathering nectar of a cornflower in my garden. 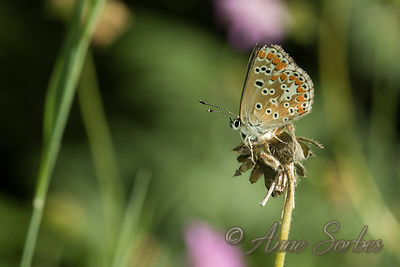 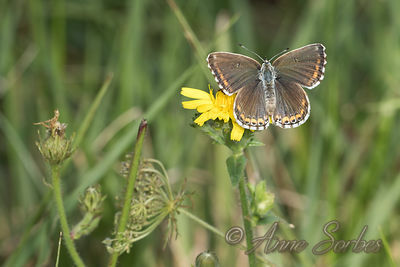 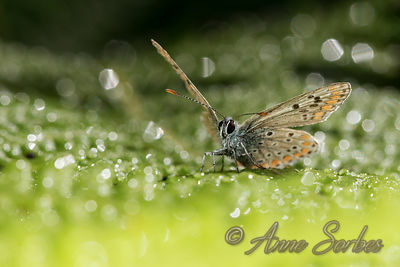 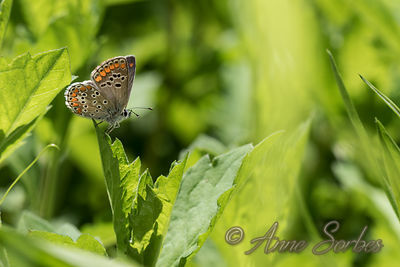 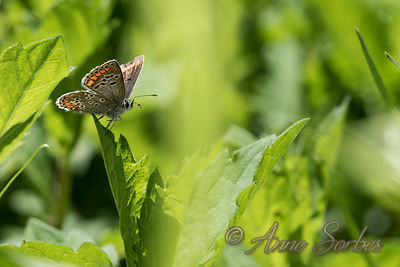 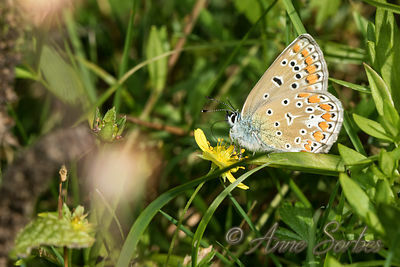 Brown Argus resting in a wet meadow. 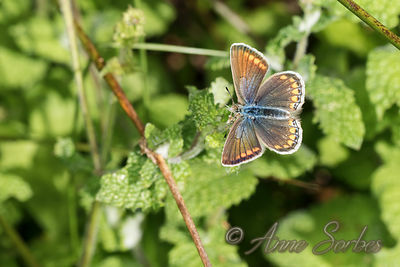 Brown Argus resting on a common bracken in a wet meadow..
Adonis Blue male resting on thyme in a path close to the ammonite slab of Digne-les-Bains. 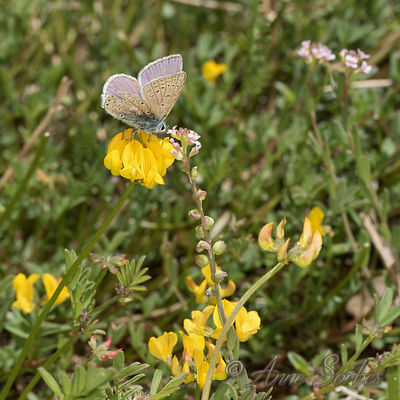 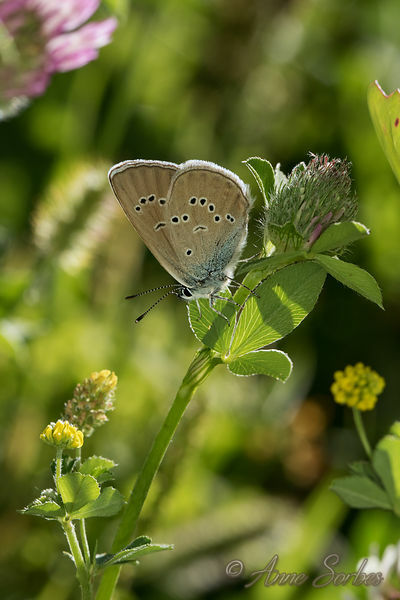 Common Blue male gathering nectar of bird's-foot trefoil flowers in the Butterflies area of the Musée Promenade in Digne-les-Bains. 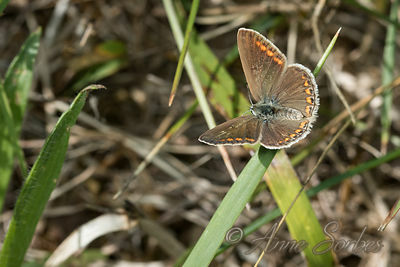 Brown Argus female resting in the Butterflies area of the Musée Promenade in Digne-les-Bains. 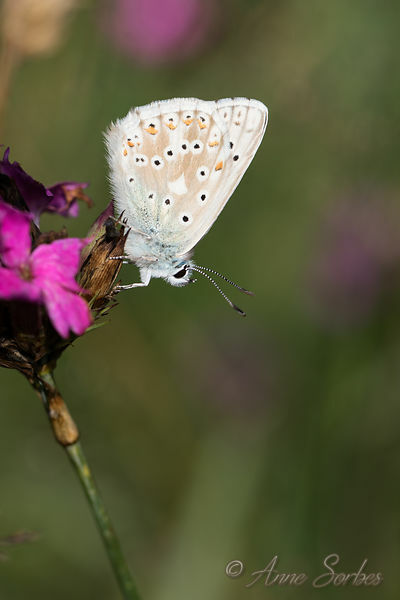 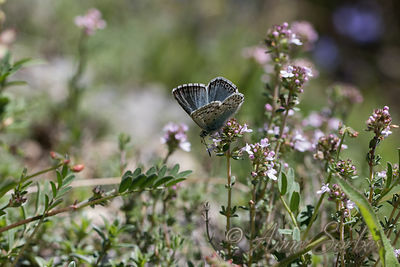 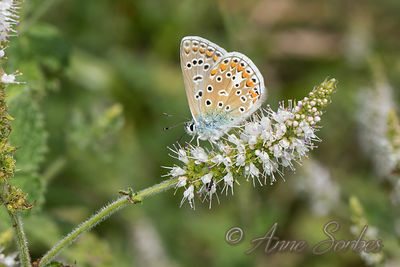 Chalkhill Blue male gathering nectar of thyme flowers in the Butterflies area of the Musée Promenade in Digne-les-Bains. 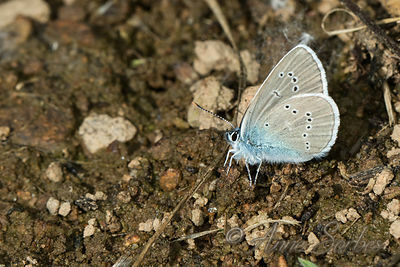 Escher's Blue posed at the edge of a path close to the ammonite slab of Digne-les-Bains. 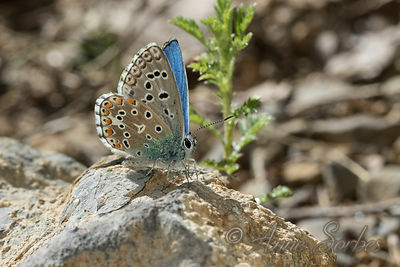 Adonis Blue male resting on a stone in a path close to the ammonite slab of Digne-les-Bains. 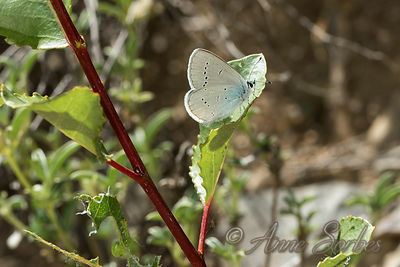 Osiris blue resting on a leaf at the edge of a path near the ammonite slab of Digne-les-Bains.